With an interest in science and the natural world, Ken began working with oil and charcoal as a child. His work and subject matter includes wildlife, specializing in threatened and endangered species. His highly detailed and realistic work is rendered almost entirely with colored pencil on paper. Ken’s work has been exhibited across the country in numerous galleries and museums. 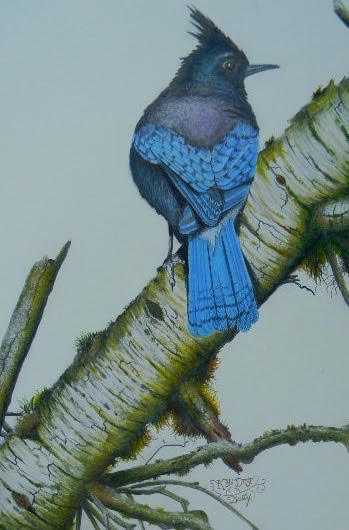 He is currently a member of the Freed Gallery, Lincoln City, Oregon and numerous art organizations.